Marketing 24/7, Inc., of Birmingham, Alabama, USA, received the Gold Stevie® Award for Communications or PR Campaign of the Year in the PR awards categories of the 2012 Stevie Awards for Women in Business. (Entries for the 2013 Stevie Awards for Women in Business, the world's top honors for female entrepreneurs, executives and the organizations they run, will open in May. Request an entry kit for the 2013 awards and it will be emailed to you when entries open.) 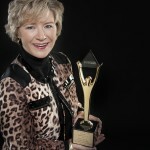 Here Marketing 24/7, Inc's CEO, Ruwena Healy, shares her tips for winning Stevie Awards. What are your top tips for winning business awards in the Stevie Awards? The opportunity to be recognized as a Stevie Awards-winner has me thinking about the importance of pursing these kinds of business awards and honors. What does it take to always push yourself to be an award winner in your business? Obviously, it takes a great deal more than just applying for them. Keep focused on what’s to come in your business. Look forward at least 12 months and have a plan for each of those months and what you want to have accomplished two years from now. Always execute work with perfection. Deliver “creative” results for clients or customers. Don’t do only what is expected. Focus on the unexpected, what’s unique and how you can make that happen in a successful way. Give your work 110 percent always and then some. 100 percent or less doesn’t make one an award winner. Discover the awards process from the inside out. Becoming a judge for a variety of awards opportunities helps you learn more about the process and exactly what is expected from winners. Benchmark your business against people who are winning awards. Get familiar with the winners’ circle and observe what they do. Why did they win? What are they doing differently? Use business award winners as the companies to benchmark your staff and customer processes. A recent article on FastCompany.com focused on why good writing is essential for business. In this age of social media driven communication, we all strive to deliver strong messages in 140 characters or less. But the true art of writing can get left behind. Good business requires good communication. I think it is crucial that we continue to stress the importance of proper pros to the young professionals coming up behind us. If I had to choose another profession, I would want to be a physician. As I’ve aged, I realized the importance of health and our family’s health. If I were a doctor, I would know more about the basics of good medical care and be in a better position to help family and friends when important health issues arise. I have always been driven to achieve perfection. Sometimes I wish I wasn’t quite as driven. But I like being successful at whatever I set my sights on. This allows me to maintain my focus and hit the ground running every day. Ruwena Healy is the CEO of Marketing 24/7, Inc., a full-service marketing firm that specializes in developing marketing plans and executing the details of them. Founded seven years ago, Marketing 24/7, Inc. has become one of Birmingham’s Top 10 PR firms. Healy and Marketing 24/7 are the recipients of numerous national and international awards for excellence including most recently the Gold Stevie Award in the 2012 Stevie Awards for Women In Business. Earlier in 2012, Healy was honored with the Bronze Stevie Award for Communications or PR Campaign of the Year - Low Budget in The American Business Awards and named 1st runner up in the Birmingham Business Journal’s Social Madness competition. Healy maintains a blog at www.mastermarketing247.com and has authored numerous published articles that have appeared in PR News’ 2011 Crisis Management Guidebook, Birmingham Business Journal, The Birmingham News, Alabama Business News and al.com. Healy is a sought after speaker and trainer covering topics on marketing, branding, social media and public relations. Marketing 24/7, Inc. celebrated its 7th anniversary in 2012 of providing professionals with marketing and business development solutions. CEO Ruwena Healy founded the firm with the mission of providing high-level marketing and business development consulting; marketing plan development and execution; and strategic planning services to companies, entrepreneurs and professionals. Marketing 24/7 offers unique expertise in personal branding and company branding as well as improving marketing and business development effectiveness for the purpose of increasing revenues. Marketing 24/7 has a diverse client base and is currently ranked as Birmingham’s 11th largest PR firm. For more information, visit www.marketing247.net. The University of Southern Mississippi in Hattiesburg, Mississippi, USA, received the Stevie® Award for Best Communications or PR Campaign of the Year–Community Relations in the PR awards and communications awards categories of the 2011 Stevie Awards for Women in Business, the world's premier awards for women executives, entrepreneurs, and the organizations they run. (The final entry deadline for the 2012 Stevie Awards for Women in Business is quickly approaching on September 28; request your entry kit today.) Here we look at how the university enhanced its brand through a Centennial Celebration. As the ninth president of The University of Southern Mississippi, Dr. Martha Saunders saw its 2010 centennial anniversary as an ideal opportunity to enhance its brand, reinforce relationships with key publics, and celebrate a rich past while turning the focus to its future. With an overall goal of increased engagement among target audiences through “telling our story,” the university employed integrated strategies successfully to create awareness of its strengths, raise its national profile, and increase private giving, alumni membership, and enrollment. Despite the tough economic climate, the Centennial campaign rallied the spirit of the university community and positioned the Southern Miss brand for the next level of national prominence. 1. Create awareness of the history and rich traditions of the university among target audience members by December 2010 as measured by pre-and post-Centennial surveys. 2. Increase national media coverage of the university by 20% as of December 2010. 3. Increase website traffic by 20% by December 2010. 4. Increase membership in the Alumni Association to 20,000 by December 2010. 5. Generate donations of $1,000,000 for the Centennial Scholarship by December 2010. 6. Increase freshman enrollment by 6% from fall 2007 to fall 2010. An overall budget of $477,000 came from university support ($312,000), corporate sponsorships ($135,000) and the Southern Miss Alumni Association ($30,000). Numerous special events were organized, including “Renée Fleming—The Voice of the Century,” a concert with the Southern Miss Symphony Orchestra. Other events included Founders’ Day/Centennial Celebration Day; The Big Event (a community service day); the Centennial Commencement Celebration; the Centennial Arts Gala; Affinity Group Reunions; a Centennial Homecoming; and a Centennial Lecture featuring Madeleine Albright. Additional events included a Centennial Exhibit in the city library; a Centennial Museum in the university library; the 100 Alumni Museum of Art Exhibit; a Centennial Sculpture Celebration; and the Centennial Gateway (a brick-and-mortar giving opportunity). Further initiatives included a Centennial Scholarship Endowment Fund and an Alumni Centennial Membership Campaign. Publications included The Talon (the alumni magazine) Centennial edition; Centennial Drawl, a handbook of the university’s history and traditions; and a Centennial history book, authored by a noteworthy historian. The Centennial Gold Ad Campaign included Black and Gold banners on campuses; Black and Gold banners along city highways; advertising in targeted national publications; billboard campaigns in selected cities; “The Southern Miss Story” presidential tour; and the “I Belong” Campaign. These included Centennial Birthday Cards, a Centennial Coke bottle; Centennial pins, stickers, and medallions (for 2010 graduates); coloring books; and cups/can holders. The program exceeded all objectives: Awareness of the university’s history and rich traditions showed positive change in all categories over pre-Centennial benchmarks. National media coverage increased more than 800% (from 13 national hits in 2007-8 to 122 in 2009-10). Website traffic increased 107% by December 2010. Alumni Association membership grew to 21,088 (1,088 more than the 20,000 goal). Centennial Scholarship donations totaled $3.9 million in December of 2010 ($2.9 million more than the $1 million goal). Freshmen enrollment increased by 14%, exceeding the goal of 6%. 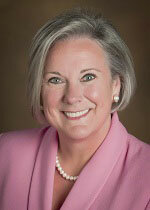 Dr. Martha D. Saunders served as the ninth president of The University of Southern Mississippi in Hattiesburg, Mississippi, from 2007 to 2012. She was the first woman to hold that position. She continues to serve the university as Distinguished Professor of Communication and Founding Co-Director of the Evelyn Gandy Center for Women in Leadership. Her philosophy of education follows three simple guiding principles: know your students; connect them to bigger things; and set a good example. Dr. Saunders' experience in the field of communication has led to numerous publications on crisis communication and public relations, widely anthologized published speeches, and national awards. Founded in 1910, The University of Southern Mississippi is a comprehensive doctoral and research-driven university with a proud history and an eye on the future. In just 100 years, Southern Miss has grown from a small teachers' college into a premier research university with a national reputation for excellence in both academics and athletics. For more information go to: http://www.usm.edu. Community Relations: campaigns/programs that aim to improve relations with communities in which the sponsoring organization has an interest, need or opportunity. Crisis Communications: campaigns/programs undertaken to deal with an unplanned event and requiring immediate response. Global Issues: campaigns/programs that demonstrate effective global communications implemented in at least two countries. Internal Communications: campaigns/programs undertaken to inform or educate an internal audience, such as employees or members. Issues Management: campaigns/programs undertaken to deal with issues that could extraordinarily affect ongoing business strategy. Low Budget (under $10,000/€7000): campaigns/programs that cost no more than $10,000/€7000 to plan and implement. Marketing – Business to Business: campaigns/programs designed to introduce new products or promote existing products or services to a business audience. Marketing – Consumer Products: campaigns/programs designed to introduce new products or promote existing products to a consumer audience. Marketing – Consumer Services: campaigns/programs designed to introduce new services or promote existing services to a consumer audience. Multicultural: campaigns/programs specifically targeted to a cultural group. Reputation/Brand Management: campaigns/programs designed to enhance, promote or improve the reputation of an organization with its publics or key elements of its publics. Public Affairs: campaigns/programs specifically designed to influence public policy and/or affect legislation, regulations, political activities or candidacies. Public Service: campaigns/programs that advance public understanding of societal issues, problems or concerns. Entries in these categories require an essay of up to 500 words describing the nominated campaign: its genesis, development, planning, commission, and performance to date, a biography of the leader of the team that developed the campaign (up to 100 words), and optional (but highly recommended), a collection of supporting files and web addresses that you may upload to our server to support your entry and provide more background information to the judges. Website of the Year: Recognizing excellence in web sites created and maintained by or for women. There is no eligibility period requirement for this category - it doesn't matter when the site was first published. Blog of the Year: Recognizing excellence in individual or company blogs created by or for women. There is no eligibility period requirement for this category - it doesn't matter when the blog was first published. Smartphone or Tablet App of the Year: Recognizing excellence in smartphone and tablet apps produced by or for women. There is no eligibility period requirement for this category - it doesn't matter when the app was first published. Video of the Year: Recognizing excellence in videos produced by or for women since July 1, 2011. These categories only require an essay of up to 100 words describing the nominated work: its purpose and results to date, the nominated work itself, which you should upload to our server via the new uploading tool on our online entry form, and optionally, you can provide creative and production credits for the work, such as writers, creative directors, and programmers. Not sure where to begin? All communications awards entries are submitted directly online through your account. You can begin by registering here. DiGennaro Communications (DGC) of New York, New York, USA won a Stevie® Award for Best Overall Company of the Year/Service Businesses with up to 100 Employees - Advertising, Marketing, and Public Relations in the company awards categories of the 2011 Stevie Awards for Women in Business. (The early-bird deadline for the 2012 Stevie Awards for Women in Business, the world's premier awards for women executives, entrepreneurs, and the organizations they run, is July 25. Request your entry kit today.) Here we asked DGC founder, Samantha DiGennaro, why PR is so important for business. Why is PR such an important business tool? PR is a powerful tool that helps build enterprise value. Enterprise value can ultimately help a company to be bought or sold. PR creates pride of place among both clients and employees. Winning organizations attract the best of everything and everyone. My favorite blog is www.thehitboard.com … because it’s written by the best and brightest in the communications industry—DGC! “Snooki Pregnant!” The amount of coverage that this story has received is a terrible commentary on the state of our society, our values, and of journalism in general. I’d be an art therapist working with children of abuse in the inner city. Honesty, integrity, an individual voice, self-expression, critical thinking, intelligence, and fearlessness. Duty, loyalty, and the desire to provide the best service to my team, to our clients, to our partners, and to society. The Stevie Awards for Women in Business offer several business awards categories including PR awards and marketing awards. See all communications awards. Samantha DiGennaro launched DiGennaro Communications (DGC) in January 2006. Since then, she has built DGC into a highly reputable business-to-business public relations agency that boasts a roster of clients ranging from global media companies to full-service advertising agencies to digital and design outfits. Before launching DGC, Samantha built and oversaw the New York, North American, and Global Communications teams at J. Walter Thompson, the world's first ad agency. During her tenure, Sam helped reposition JWT as a more nimble creative agency. Prior to JWT, Samantha was public relations manager at DMB&B. DiGennaro Communications is a leading full-service strategic communications company specializing in the marketing, media, entertainment, and business sectors. Its clients include premiere global and boutique companies such as GroupM, David & Goliath, Goodby, Silverstein & Partners, Mr Youth, Organic, and Live Nation. In 2011 DGC was named one of the top five most entrepreneurial companies in New York City by the New York Enterprise Report, was a finalist in the HR category of the New York Enterprise Small Business Awards, and was listed on the Inc. 500|5000 list.